When we talk about the world’s top poker pros, it doesn’t take long for the name Phil Ivey to come up. With 10 WSOP bracelets in tow, and a 5th place position on the Poker All Time Money List after hauling in over $23 million in live events over the year, he is easily one of the top contenders in the world today. But his performance at the 2015 WSOP was nothing short of dreadful. Most years, Phil Ivey is in Las Vegas all summer long, partaking in a throng of WSOP events leading up to the most prestigious of them all, the WSOP Main Event. Such was not the case at the 2015 WSOP, where Ivey showed up well into the series and only bothered registering for two events. Ivey arrived in Las Vegas just in time to take part in the most expensive tournament of the summer, the $111,111 High Roller for One Drop. It appeared the 39-year old American poker pro was set to make a deep run into the event, but his efforts came up just a bit short. Phil Ivey was eliminated 5 places shy of cashing in the 2015 WSOP One Drop High Roller. On his final hand, with a relatively short stack of 113k and all previous action folded to him, Ivey moved all in. Chris Klodnicki shoved over the top with 253k, inciting a fold from the big blind and putting the two heads-up. Ivey tabled Jd 10d, putting him behind Klodnicki’s Ah Ks. The Ad Js 2s flop was a damaging blow for Phil, but the Ac on the turn delivered the fatal blow. Ivey headed for the rails on Day 1 with nothing to show for his efforts. The 10x WSOP bracelet winner was in decent shape on Day 1 of the 2015 WSOP Main Event, but his luck ran out just two hours into play when his ship ran aground against Mario Sanchez of Portugal. From middle position, Sanchez placed an opening raise, getting a 3-bet shove from the short-stacked Ivey. With an opportunity to put the esteemed poker pro’s life at risk, Sanchez didn’t hesitate to make the call. It didn’t hurt that the Portuguese player was holding pocket Kings at the time, either. Ivey turned over pocket 9s only to discover he was in terrible shape. Needing another 9 to catch up, the board fizzled for both players, giving Sanchez the pot and sending Phil Ivey home well before reaching the money bubble. 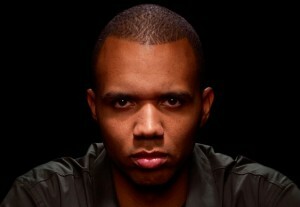 Why So Little Action from Phil Ivey at WSOP? He added that bracelet hunting was easier for him in past years when he had prop bets on capturing gold. For now, Phil Ivey said unless it’s a major event (like the One Drop High Roller and WSOP Main Event), he’d rather spend time whale hunting in the biggest nosebleed cash games around the world.